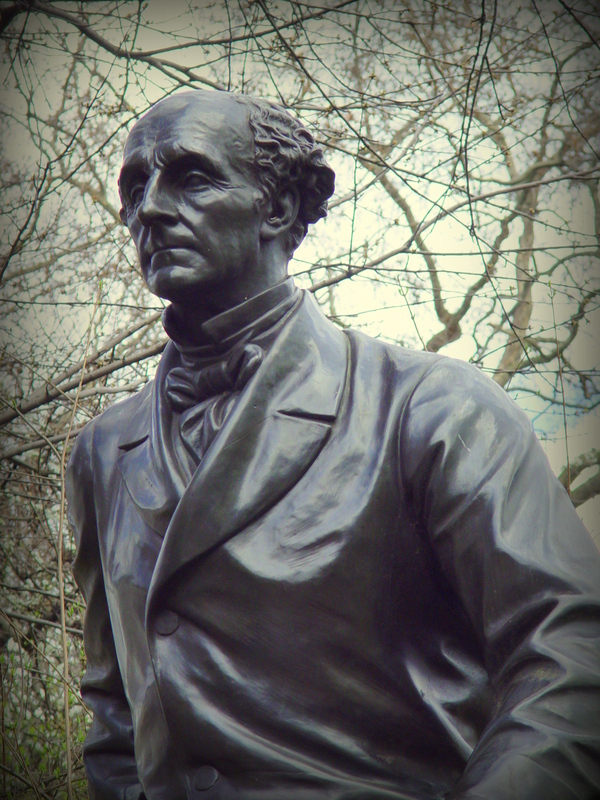 (Boom Publishers, Amsterdam, 2008), 318 p.
The life of John Stuart Mill began in London (1806) and ended in Avignon (1873). Why Avignon? This is the simple question I put to myself when, in 2002, I began to take an interest in Mill. I went to see his well-kept grave in Avignon, and discovered how the house he had owned outside the city’s medieval walls had been destroyed in 1960, when the local authorities decided to make room for some brand-new apartment buildings. The real tragedy, though, had taken place more than a century before, when, in November 1858, Mill’s wife Harriet suddenly died of pneumonia, right after they had arrived in Avignon for the first time and had taken up rooms in the Hotel l’Europe (still standing). Harriet was buried in Avignon, and this incited Mill to buy a house there. 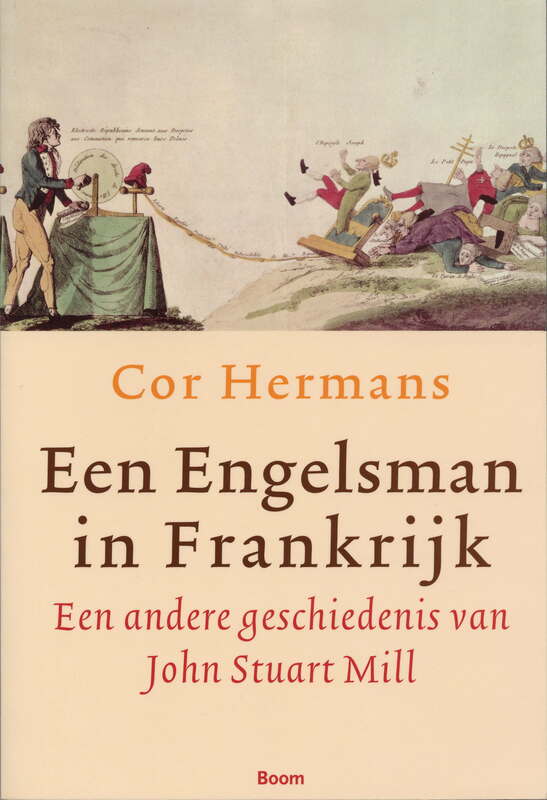 My book on Mill is not a biography; I have tried to write an alternative history of his intellectual development by focusing on his relation to France. Of course, as a young man he was strongly influenced by his mentor Jeremy Bentham, whose utilitarianism at first both inspired and dominated him. Gradually, Mill began to resist Bentham’s brand of utilitarianism, although that too had French origins, going back to the Enlightenment philosophes who, like Helvétius, sought to prove that human social behaviour could be fully explained on the basis of rationalism. Influenced by the romanticism of Samuel Taylor Coleridge, Mill came to detest the one-sidedness of the calculating kind of utilitarianism. Coleridge (as well as Carlyle and Wordsworth) taught him that human free will should not be neglected. Human nature is not machine-like, therefore cannot be explained on the basis of mechanistic principles (like the attraction of pleasure and the repulsion of pain). It became Mill’s mission to reconstruct utilitarianism in such a way that it would make room for self-development and self-realization. ‘Educating the feelings’ was just as important as training the intellect, and the only way to achieve that man would become a multidimensional being. 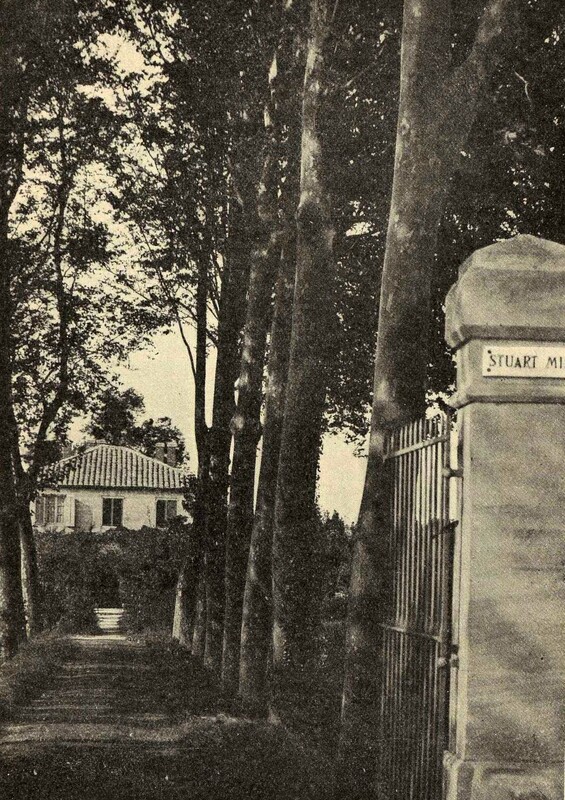 As a boy John Stuart’s own intellect was rigorously trained by his father, James Mill, who, nevertheless, allowed that his son at fourteen could go and live for almost a year in the south of France. It was then that John Stuart Mill fell in love with the culture and spirit of France. Whereas the British, he believed, were passionate about their economic interests, the French instead reserved their passion for debating socio-political principles. As an adult he would several times visit France and develop into an authority on the history of the French Revolution, as well as on the revolutions of 1830 and 1848. And he got acquainted to Saint-Simon, d’Eichthal, Guizot, Tocqueville, Louis Blanc, Marrast, Lamartine, Comte, Fourier, Considérant, and Cabet. In 1828 Mill came into contact with the Saint-Simonist movement in France. One of its leaders, Gustave d’Eichthal, firmly believed that Mill was the ideal ally to help introduce and spread Saint-Simonism in Britain. Although Mill declined because of the sectarian character of the movement, he did help when his friend d’Eichthal, in 1831, campaigned in England for Saint-Simon’s ideas to take root there (without much success). This is not the only example of Mill’s sympathy for the utopian variant of early socialism. His essay ‘The Spirit of the Age’ is clearly Saint-Simonist in inspiration: Mill liked the idea of transferring political power from the old and unproductive nobility to the new elite of industrialists, to help establish a meritocracy with social engineering capabilities. This would promote the common citizen to the status of co-producer. As late as 1870, in his unfinished Chapters on Socialism, Mill approvingly referred to the ideas of Fourier. 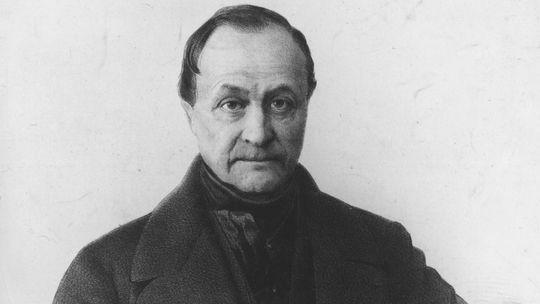 Between 1841 and 1847 Mill exchanged many letters with Auguste Comte (89 of them have survived). Comte, of course, had been one of Saint-Simon’s personal secretaries. Mill appreciated the early works of Comte, where the connection to Saint-Simon is most clear; however, he rejected much of the schemes of the older Comte, to turn his scientific positivism into a secular religion and worship. Although Mill’s magnum opus System of Logic (1843) was written during the years when Comte’s influence was strongest, Mill in it revealed his own, independently formed, ideas on the explanatory and planning power of a positive social science (following the lead of Comte’s agenda, to be sure). In Mill’s ideas on democracy and the process of democratization, certain parallels to the ideas of Tocqueville can be found. Maybe Mill was more of a helper to Tocqueville than the other way round. By publishing two extensive and sympathetic review-essays on De la démocratie en Amérique, Mill certainly did much to establish Tocqueville’s name and reputation in Britain. He also was instrumental in Tocqueville’s decision to write his L’Ancien Régime et la Révolution. When Tocqueville visited England in the spring of 1835 he made sure that, within ten days, he had three conversations with Mill. They would continue their discussions in many letters. Both men supported the adventure of democracy, while pointing out, most perceptively, some important risks. Mill admired Tocqueville’s study of American democracy primarily as a ground-breaking sociological interpretation of politics. He himself believed that the gradual extension of the right to vote would, inevitably, lead to a fundamental shift in political power from the higher to the middle and lower classes. That some form of socialism would ensue was self-evident, Mill felt. 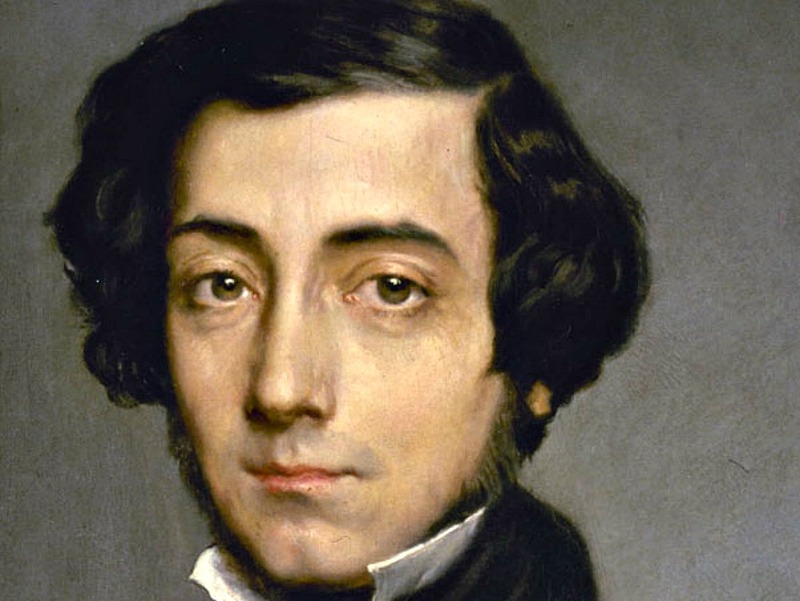 He did not share Tocqueville’s nostalgia for the pre-revolutionary values of the nobility. Instead, Mill expected, and secretly wished for, Britain to have its own ‘French Revolution’ in the near future. What he feared, though, was that ‘the tyranny of the majority’ and ‘the yoke of public opinion’ (leading to conformism) would curtail individual liberty and impoverish the valuable diversity of freely expressed views. Here his views were quite similar to Tocqueville’s. To counter such a development, Mill wanted to ensure that, in all political decisions about the positive measures to be taken, the wise judgment of ‘the best’ would prevail. The absolute, numerical, majority should only tip the scales in negative decisions (what not to do). Posterity has turned Mill into an icon of liberalism. A one-track-mind of laissez faire. His On Liberty is now a kind of bible of the freedom of expression in an open society, representing Enlightenment rationalism and secular values. This interpretation of Mill and his extensive legacy is much too simple. 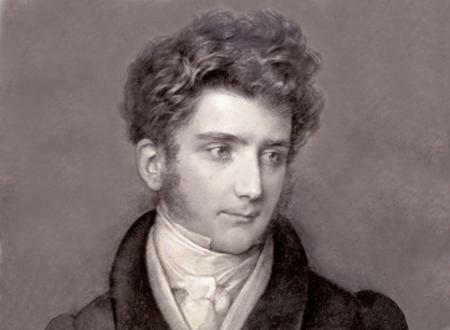 As soon as we shift attention to his admiration for Coleridge and the Romantics, and, especially, his great interest in the political and intellectual developments in France, Mill turns out to be a rather complex thinker. His thinking is dialectical, it brings opposites and contradictions together to derive new insights from their confrontation. In defending the individual’s freedom he does not repudiate the moral, socio-cultural and political importance of collectivism; it is in the dialectics of the individual and the collective that he is interested. He does not separate individual freedom from moral obligation, knowing that one person’s freedom depends on the other person’s moral behaviour. In speaking of the criterion of utility (the greatest happiness for the greatest number of people) he fully acknowledges that it does not only consist of economics – happiness in the material sense – but also of happiness in a cultural, emotional, educational and political way. He understood very well that developing a one-track-mind that aims solely at economic accumulation will, in the end, contradict utility: it will not lead to happiness, let alone ‘the greatest happiness for the greatest number of people’. Mill would have fully described to G.M. Young’s dictum that progress is the reward of virtue. On the other hand, to live only for the sake of serving the community will waste ones chance to lead a happy and utilitarian life just as well: to deny or curtail the individual’s right of personal economic initiative and of owning private property is, in the end, the same as denying a person’s moral claim to try for happiness. Besides, the principle of individual freedom and autonomy can, according to Mill, not be separated from the principle of necessity (the necessity inherent in the laws of nature, as well as in the sociological laws of communities and nations). He even believed, following Saint-Simon, that in the cyclical development of history there was the necessity of critical periods (like the Enlightenment’s rationalism, stimulating disintegration) alternating with organic periods (like Romanticism and Comte’s positivism, stimulating integration). It is not without reason that Mill called himself a ‘sociological philosopher’. On Liberty (1859) is not an essay to hail individualism; it is about the education of the individuality of a person. Each individual at birth is a tabula rasa. Mill believed that every person’s education offered unique possibilities of ‘becoming’, of the self-realisation of one’s distinctive, identifying, characteristics. The mature and powerful individual should dare to be a heretic, not allowing itself to be hemmed in by conformism. The mental power of the genius could only be set free by demolishing the ‘despotism’ of public opinion. Any strong individual can be a centre of improvement, but only as long as it is not enslaved by conformity to the views of the majority. While our individuality is our strength, it is at the same time also our weakness. Individuality implies that we tend to see things our way. Therefore the individual is liable to error. The individual’s truth is only partial. We need the other person’s partial truth to supplement and correct our own. The only way to come close to objective truth is through the free exchange of views with others. That’s why the freedom of expression is such an essential asset for individuals, cultures and societies to bloom.